The biggest achievement of my cooking experiments is sikander’s increasing enthusiasm for trying out something new in the kitchen. Today for dinner I was planning a plain bottle guard sabzi or soup; but Sikander wanted to try something different, so we went on the Internet. Most of the recipes we found required deep frying, which we weren’t too keen on. 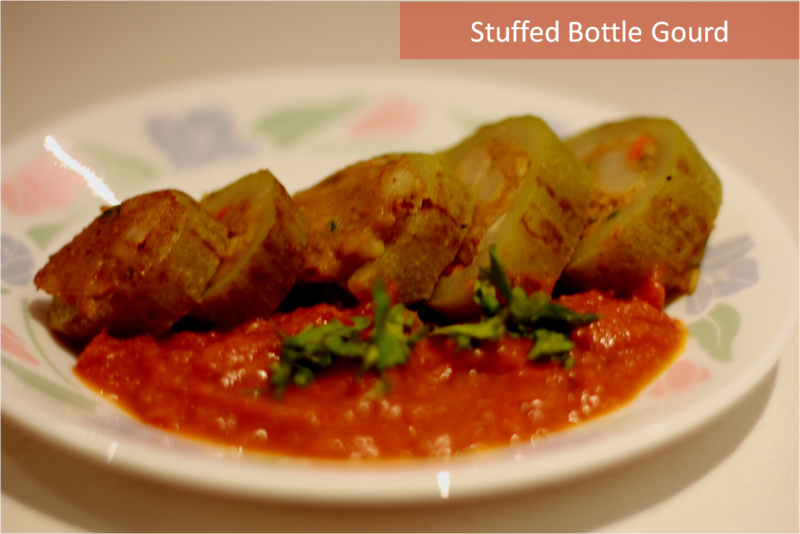 Then I found this stuffed bottle gourd recipe on Tarla dalal’s page. Looked interesting but a bit involved and had it not been for Sikander, I wouldn’t have taken this up today. In fact, I had a little back pain tonight so I was just more of a helper :). Peel the gourd, cut it into quarters and pressure cook it with 1 cup of water and the salt. Pressure cook for 1 whistle and cool. Stuff the scooped out bottle gourd shell with the filling mixture and keep aside. Heat the oil in a non-stick pan and shallow fry the stuffed gourd till brown spots appear on all the sides. Remove and keep aside on a kitchen towel. For the gravy, heat the oil in a non-stick pan, add the cinnamon and cloves and fry for 1 minute. Add the tomato, chilli, ginger-garlic paste, coriander powder, red chilli powder, garam masala, sugar and salt and cook stirring continuously till the mixture leaves oil from the sides. Add ¼ cup of water and bring to a boil. Puree using a blender. Cut the stuffed gourd into 1’’ thick slices and place them on a serving dish. Pour the hot gravy on the side. Garnish with coriander and serve hot with rotis. 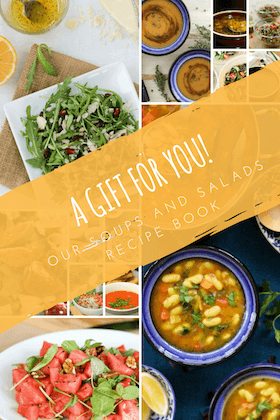 love the recipes, definitely going to try them..keep up the good work. warmest regards, Rita. I m going to try it. I hope mujhse acchi banegi…. Trying is the first step! 🙂 Anything cooked with love will turn out great..
just remember not to over boil the lauki as it will break easily if it is over boiled..